Launch the IIS manager MMC. Naviagate to the RDWeb application directory in the 'Default Web Site' site. Launch the Configuration Editor. 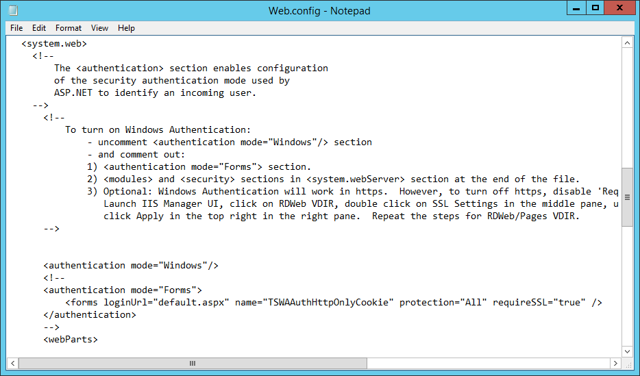 Using the dropdown for the 'Section' browse to system.webServer/security/authentication/windowsAuthentication structure. Now set the 'useAppPoolCredentials' to the 'True' value. Click 'Apply' in the right hand column of the screen. In order to correctly configure RDS WA for integrated authnetication, you must edit the %SYSTEMROOT%\Web\RDWeb\Pages\web.config file. 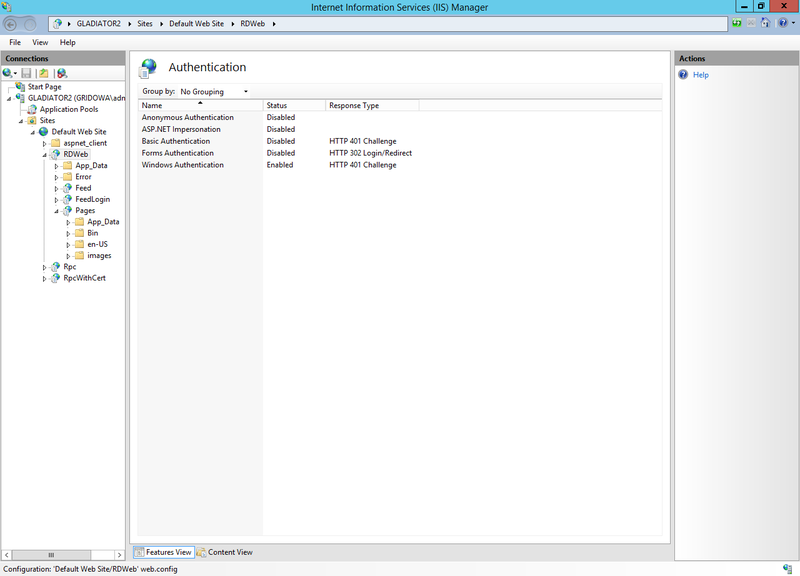 This cannot be done in the IIS Configuration Editor. Make a backup of the file. Now open the file in notepad.This is a well formed XML file. 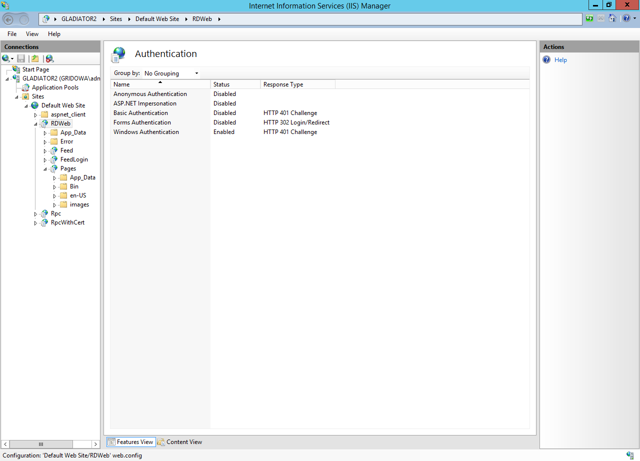 That the top of the <system.web> section, there are direction for enabling Windows Authentication. Follow the directions and then save the file. 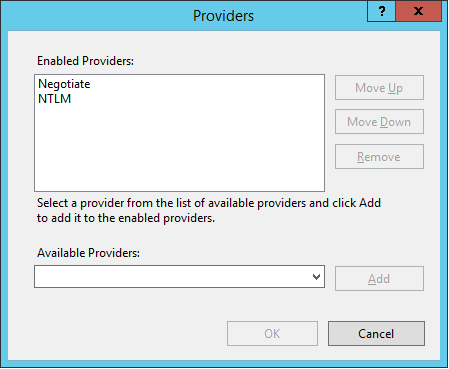 Once all of the changes are complete make sure that IIS has read the configuration changes. This is done with the iisreset command.